I'm not gonna lie, I'm not good with stress. It always shows up on my skin first and I just don't have the time to put extra effort into my skincare routine most days. 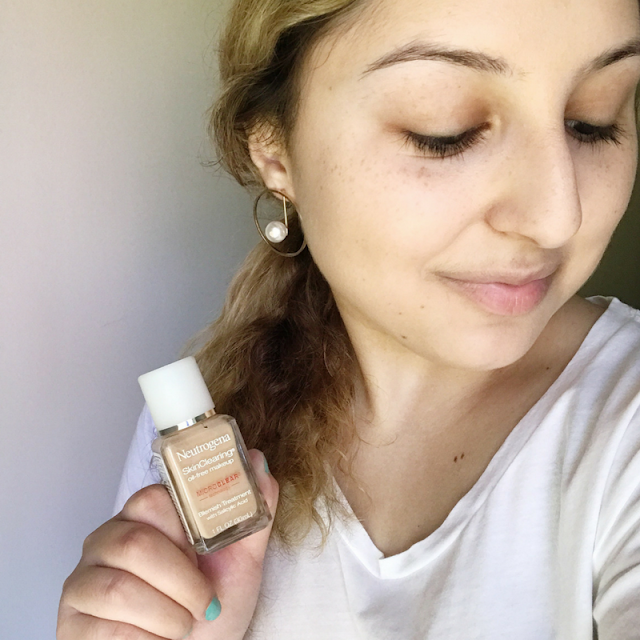 That's why I was intrigued when I found out about the new Neutrogena® SkinClearing® line which covers up and helps prevent breakouts while you wear it. First I'm going to start by applying the Neutrogena® SkinClearing® Makeup foundation which is the first and only liquid foundation with Micro-Clear technology that not only treats blemishes, but also helps prevent emerging acne breakouts for clearer skin. Just what I need: a product that does all the work for me and I can just go throughout the day and not have to worry about my skin getting worse! How does it work? The Micro-Clear technology actually boosts the power of Salicylic acid by breaking through oil and unclogging pores for fast acne relief. Developed by dermatologists, this oil-free formula controls shine and won't clog pores. 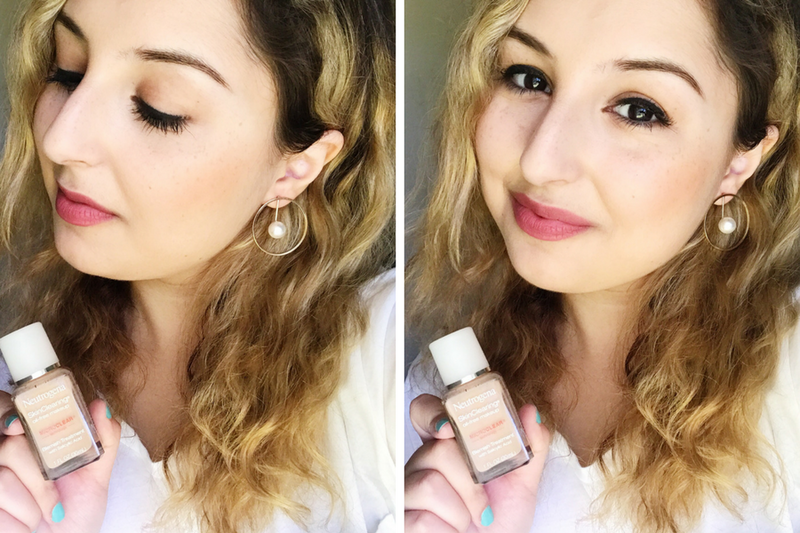 The foundation is medium coverage and matte which helps cover breakouts but also doesn't make my face look cakey and still looks natural. You're not a college kid, if you don't have some dark undereye circles! 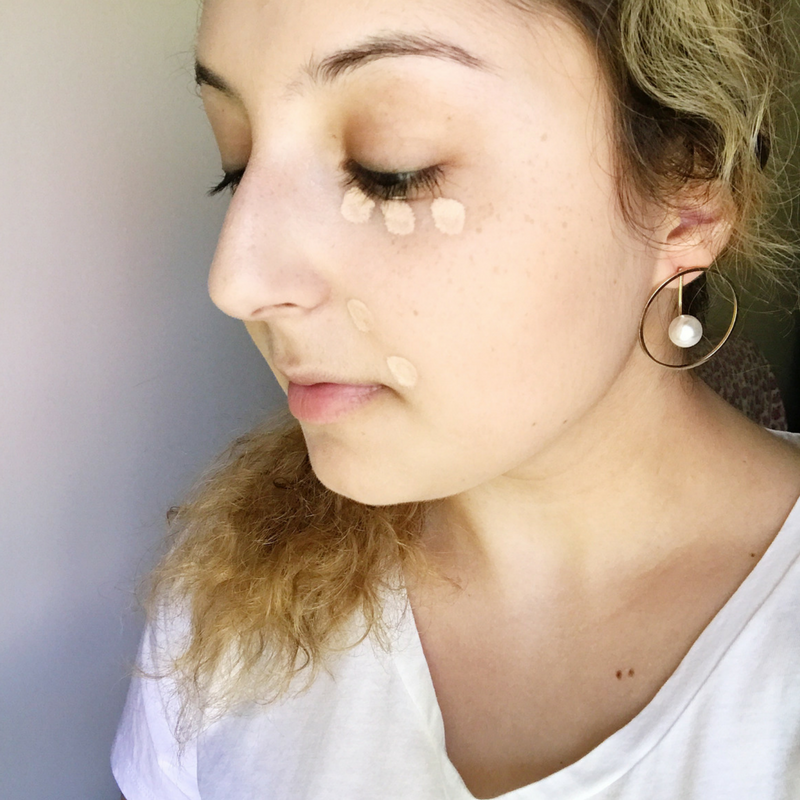 I always like to buy a concealer that's one shade lighter than my skin tone for some extra brightness and to cover up awful overnight blemishes. Here, I'm using the Neutrogena® SkinClearing® Blemish Concealer which provides natural-looking coverage while reducing the visibility of acne and helping to improve skin. This concealer also contains Micro-Clear technology with Salicylic acid which helps treat and prevent pimples and it's also non-comedogenic and oil-free. 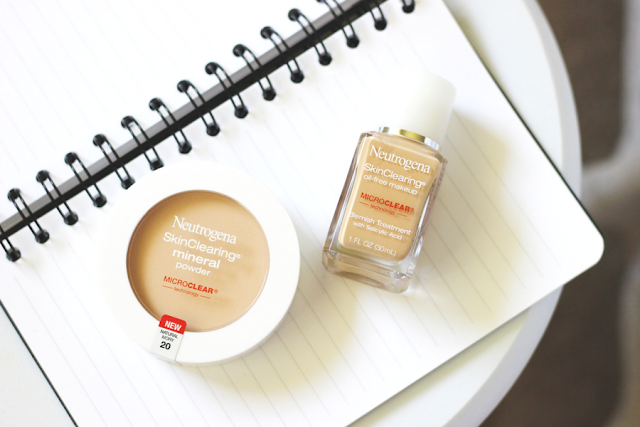 Lastly, I set my makeup with the Neutrogena® SkinClearing® Mineral Powder which helps to prevent shine from developing throughout the day and prevent future breakouts as well. It also comes with a mirror and applicator puff which makes it convenient for touch-ups. 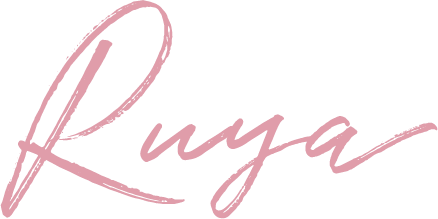 Since I don't have much time to get ready in the mornings, I tend to skip the eyeshadow and go for eyeliner such as the Neutrogena® Nourishing Eyeliner in Cosmic Black instead. I love how this one has a sponge tip applicator on the other side of the pencil which allows you to blend in the liner and create a more smokey look which makes makeup transition from day to night. 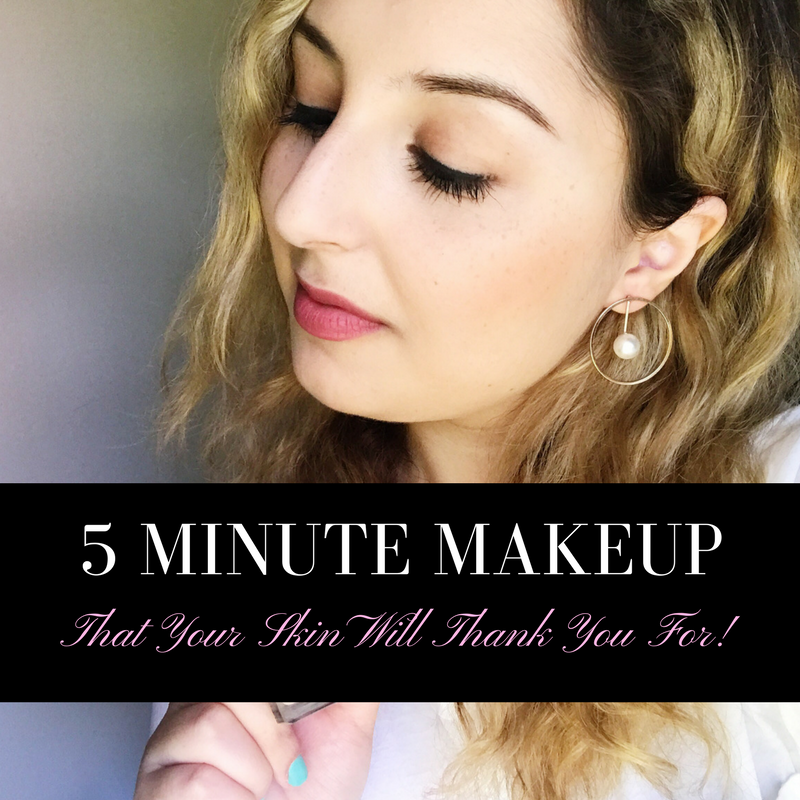 I tend to avoid liquid liners at all costs for my 5 minute makeup routine since it takes too long to apply and requires too much effort and concentration (which I just don't have especially after pulling an all-nighter, ha!). I never leave the house without some color on my lips and I typically go for a berry color (especially since fall is near!) and used Neutrogena® Moisturesmooth Colorstick in Berry Brown. The Colorstick is shaped like a crown which makes it easy to line my lips first and then fill it in and it has the most subtle shimmer in it which makes my lips look smooth and healthy. 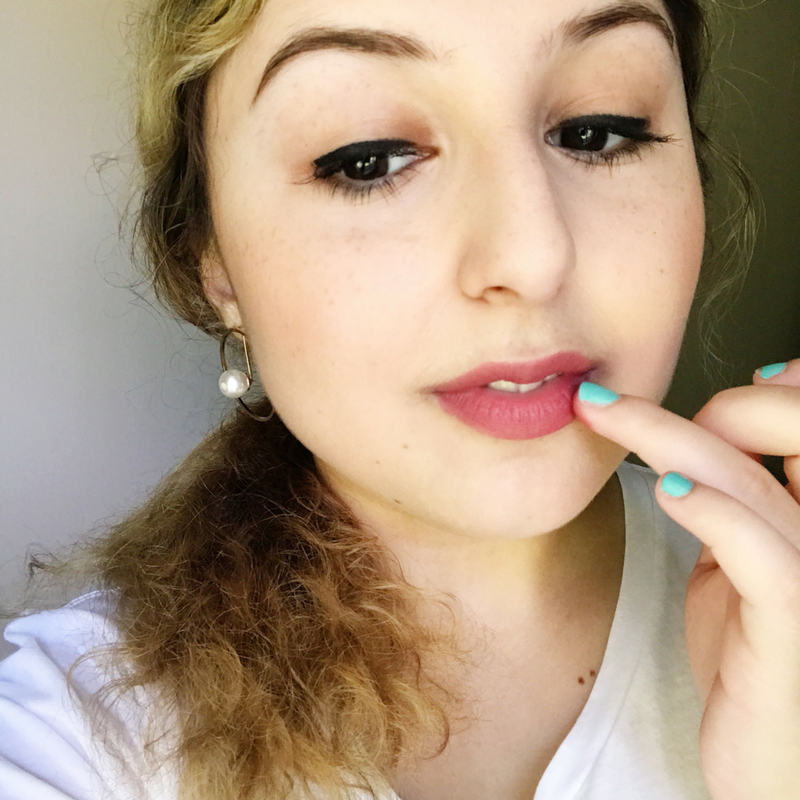 If you're going for a more natural look, I recommend blending the lip color a bit with a lip brush or if you're running late in the mornings like I am, then with your fingertips. That's it! 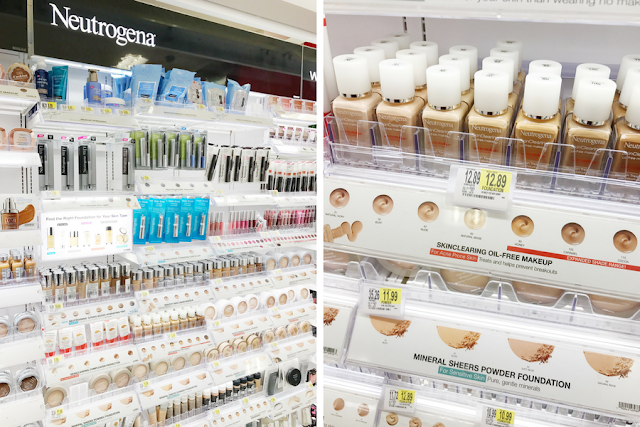 The perfect makeup for long days at school and it only takes a few minutes and helps your skin in the process. 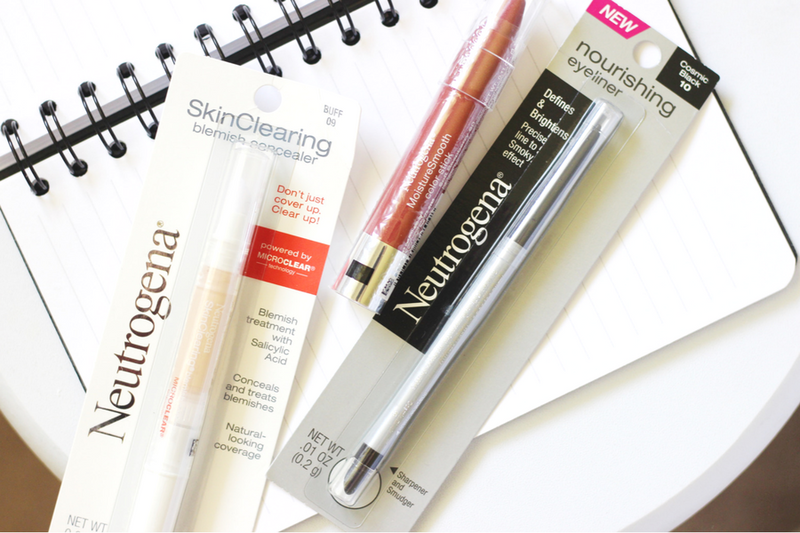 Make sure to check out the new Neutrogena® SkinClearing line at your local CVS and get $3.75 off any Neutrogena® Cosmetics face product and $2.25 off any Neutrogena® lip or eye products while you're there!